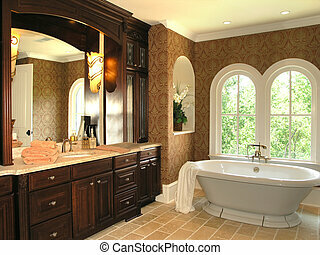 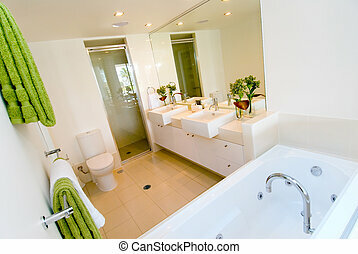 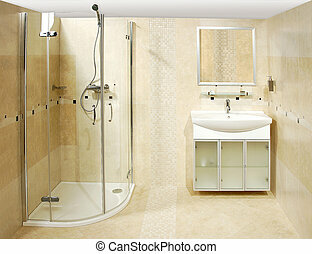 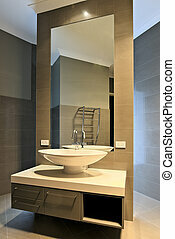 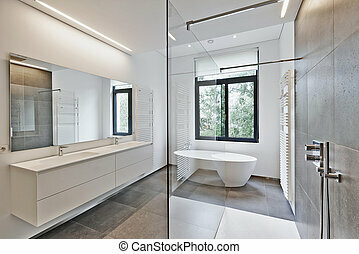 Interior shot of a luxury bathroom with his and hers sinks. 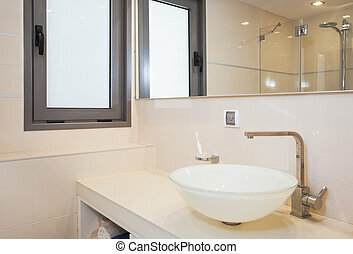 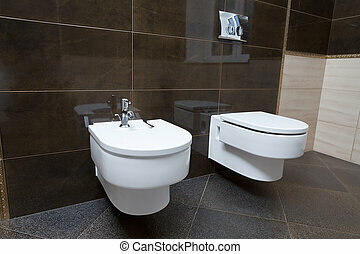 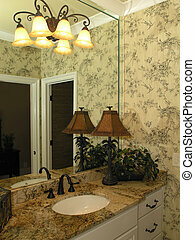 Luxury bathroom closeup - the water-closet and bidet. 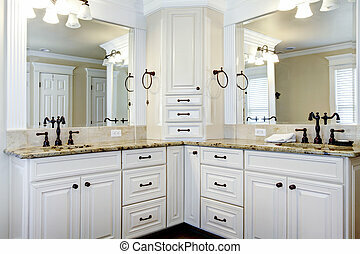 Luxury large white master bathroom cabinets with double sinks. 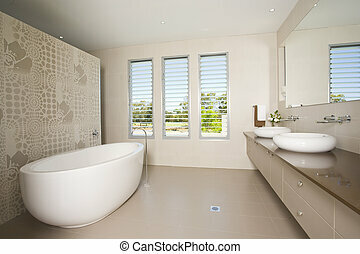 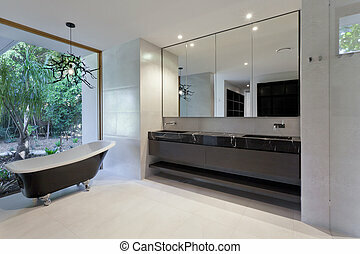 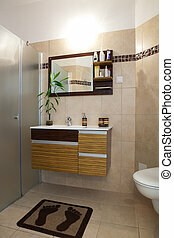 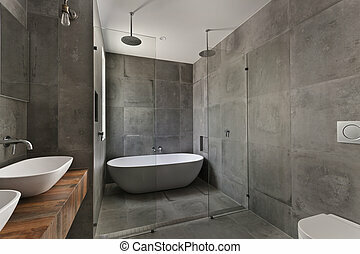 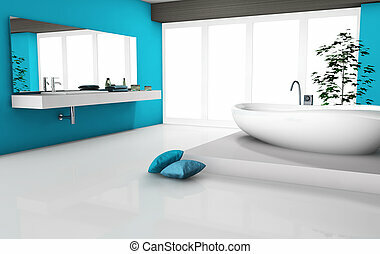 Modern home interior of a luxury bathroom with contemporary furniture and design, white floor and bathtub. 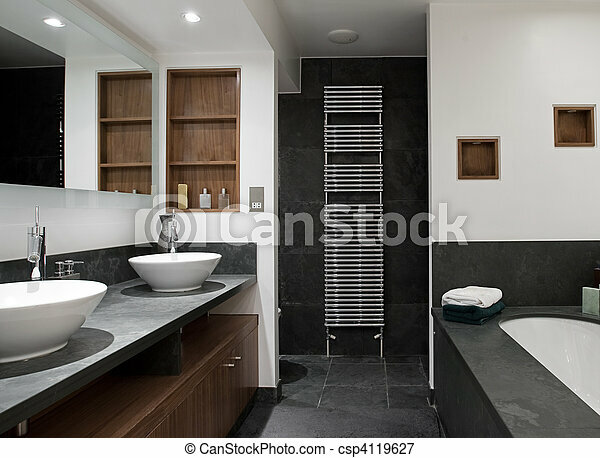 No brandnames objects.